Ed Barnett, president of the Minnesota Conference announced Monday that he has accepted a call to the Rocky Mountain Conference in Denver, Colorado. He will be replacing Gary Thurber who is now the executive secretary of the Lake Union Conference in Berrien Springs MI. 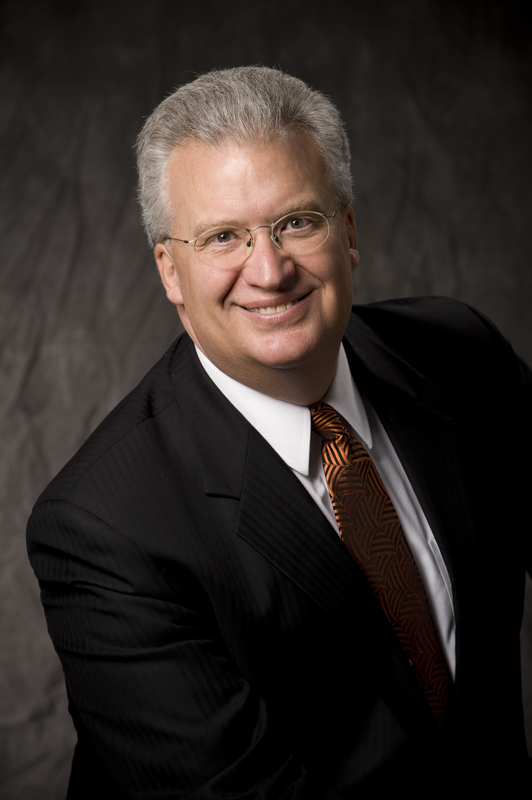 Barnett has served as president in the Minnesota Conference since May 2009. During his tenure his desire to see Adventist Education, Youth Ministry, and Evangelism grow has been felt all across the Conference. While he has been here Conference membership has grown to 8,914. 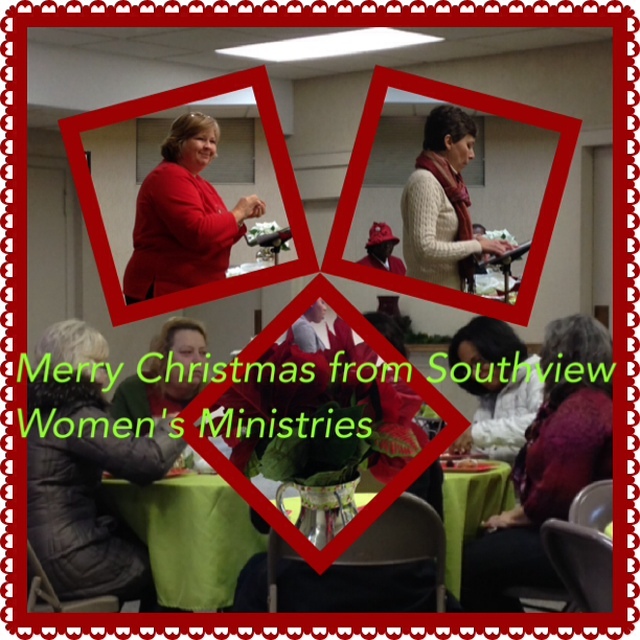 More than thirty ladies gathered together on Dec. 8 at Southview Seventh-Day Adventist Church to share fond memories of Christmas past, delectable desserts and cozy cups of tea at “A Cup of Christmas Tea”, hosted by the Southview Women’s Ministry. From the moment I stepped through the door, I knew this program was going to be special. Beautiful music from Cheryl and Jasmine Saunders wrapped around me, while I took in the beautiful decorations. Each table was a little bit unique, decorated with sparkling glass tea cups, shiny tea pots filled with poinsettias and other Christmassy goods. 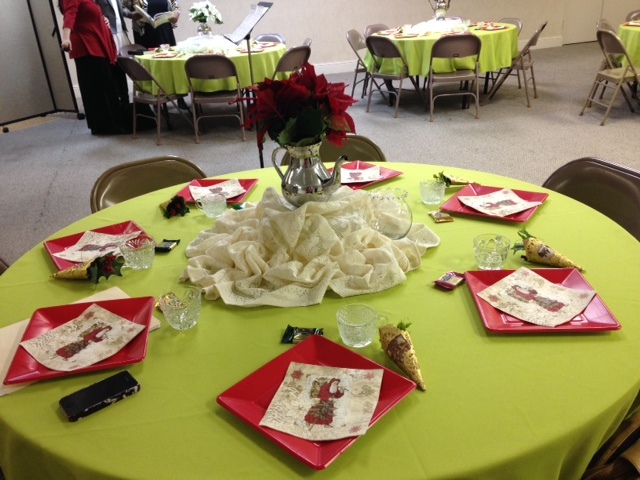 We were warmly welcomed by Melisa Mauk and joined in prayer with Pastor Anna Romuald before being ushered over to a table overflowing with delicious sweets and a variety of teas. Everything was absolutely delicious, and many of us had a hard time trying to resist sneaking seconds of everything. 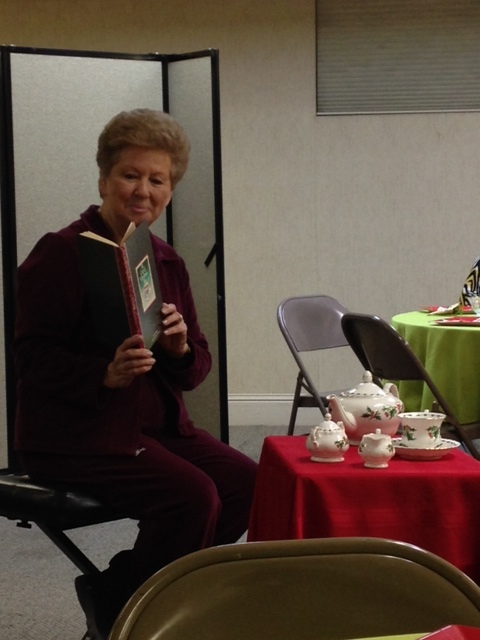 While we munched on our tea and treats, Jan Lane shared the book, “A Cup of Christmas Tea,” with us. She reminded us all of the importance of sharing this holiday season with our families and taking time for the little things in life. 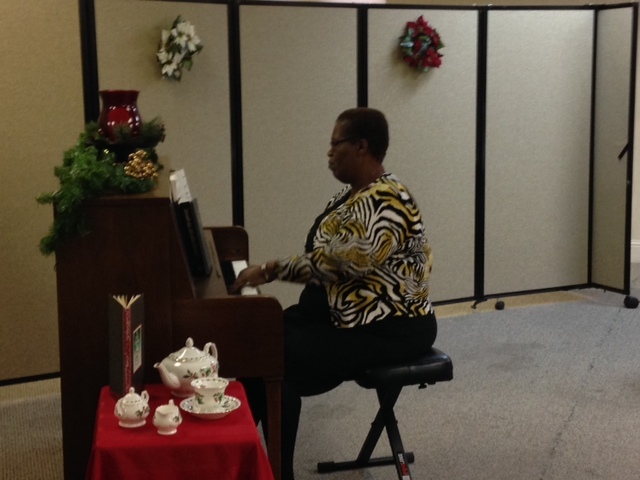 The guest speaker, Karen Lewis, took us on a trip back to the first Christmas. She painted a vivid picture of what the stable must have looked and felt like during Christ’s birth and left us with a wonderful reminder of what Christmas is truly about. A Cup of Christmas Tea left us all with a little Christmas in our hearts, which was just what we needed to kick off this holiday season! 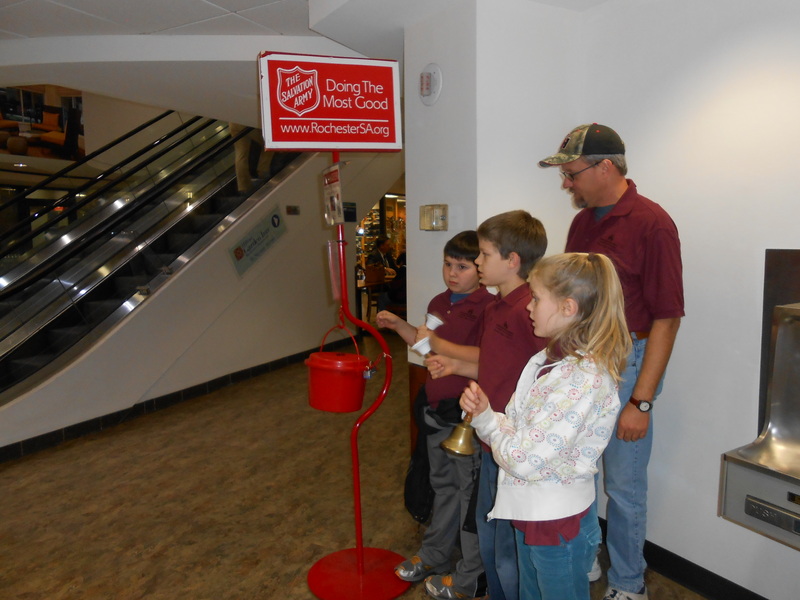 ‘Tis the season for ringing those bells again! 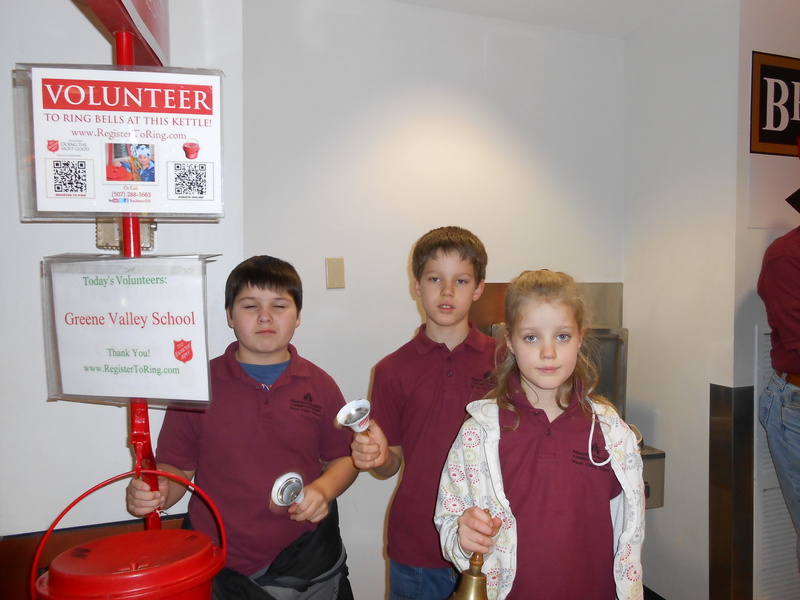 For the last several years, Greene Valley has joined thousands of volunteers who participate in the Salvation Army’s Red Kettle Campaign ringing bells to collect funds for the less fortunate. Our favorite bell-ringing station in Rochester is in the downtown subway system close to US Bank where Mayo Clinic employees and patients are constantly walking past. Many of them can’t seem to resist giving a little something to the cute kids with the big smiles ringin’ bells! 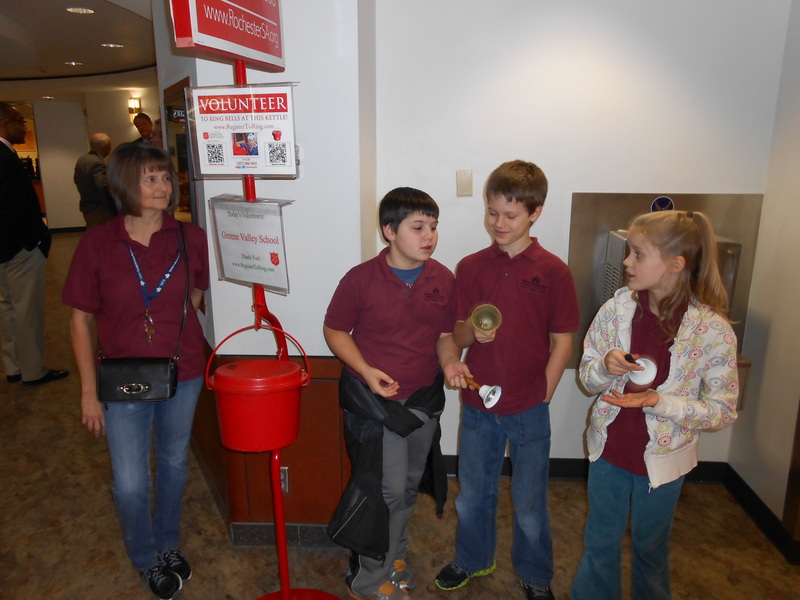 The students become excited as they realize they are each instruments of God’s beneficence to others as people donate. We will be ringing bells two more times in December. 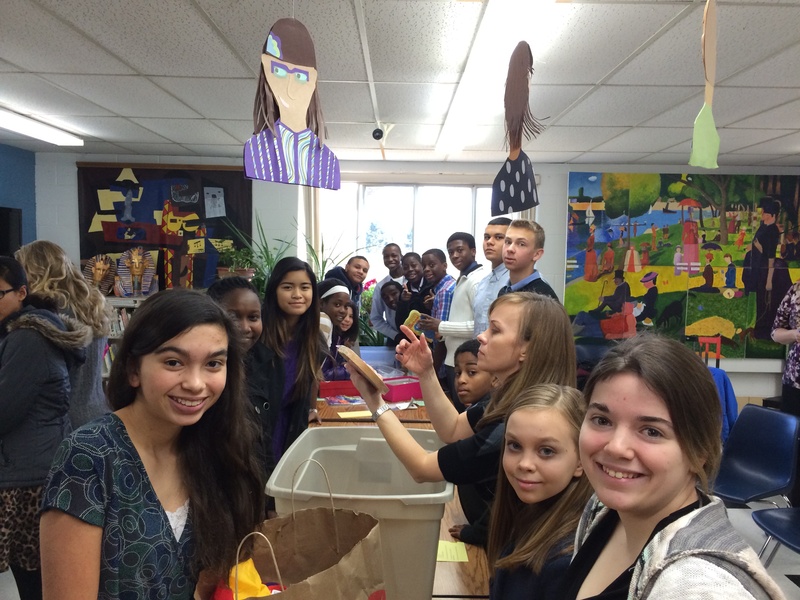 In the fall of the year, the Arlington church has been involved with several Community Service projects. First on October 31, they knock on half of the doors in the town of Arlington. 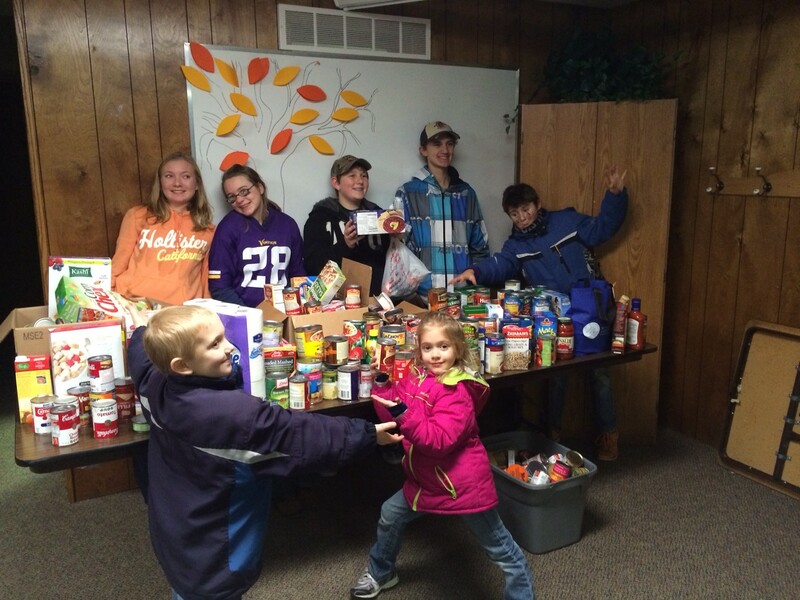 They are collecting food for the Sibley County Food Shelf and this year they collected 464 lbs. of food. 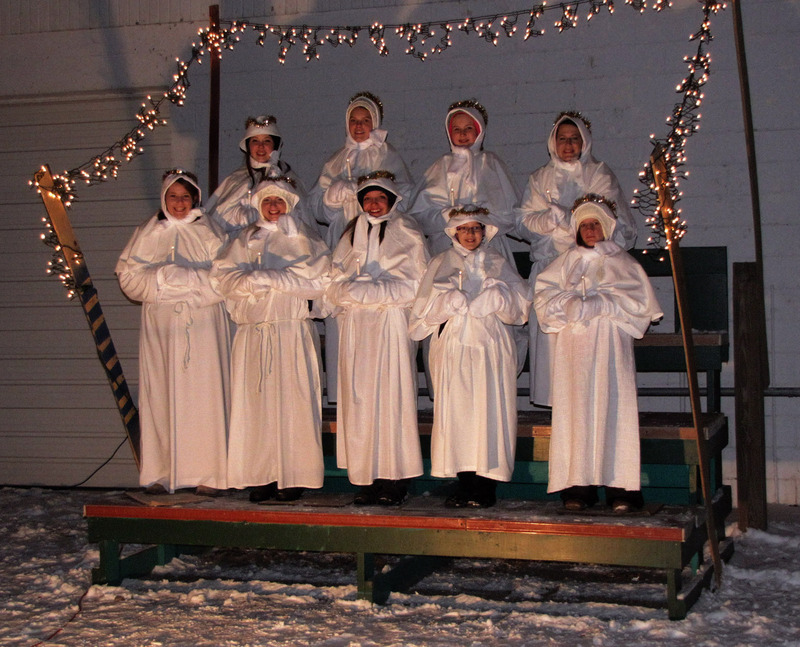 Then on the first Sunday of December they joined with 4 other churches in presenting a “Living Nativity” at the Sibley County Fairgrounds. Of course the kids are happy that some of the people also gave them candy as they collected the food. 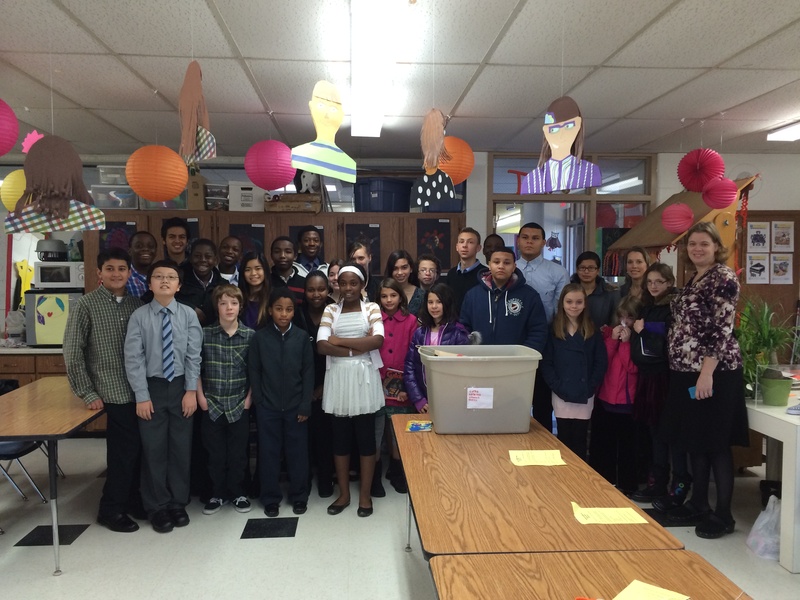 Everyone is happy that they can help serve others and remind the community of what Christmas is all about. Since 1993, more than 100 million boys and girls in over 130 countries have experienced God’s love through the power of simple “shoebox” gifts from Operation Christmas Child. Many churches and other organizations have contributed to this noble cause. After all, what’s more gracious than to give? The Minnetonka Seventh-day Adventist Church has been contributing for many years and gladly sees its gifts growing year after year. A simple idea of packing a shoebox with gifts for children in need; a pencil, perhaps a pair of socks, a toy, or a little stuffed animal to broaden their smile at the time when we celebrate the birth of our Lord. We value this element in our Christian lives and find this a wonderful way to “Go and do likewise” in helping those who have nothing. Heidi Abramovich and Rita Dedeker headed up this year’s challenge, and with your help, produce 143 well packed and delivered boxes. 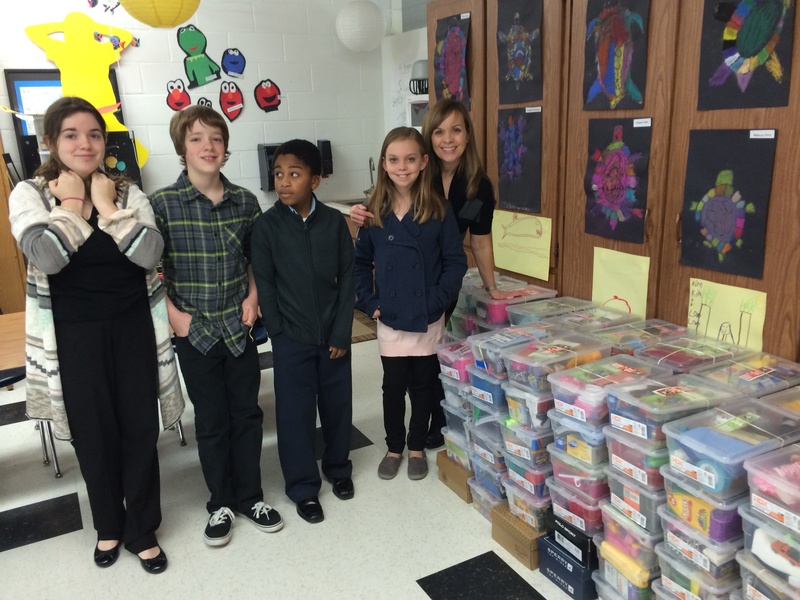 They came up with the idea of using a uniform package, the plastic box and cover, and a generous church member covered the cost of the boxes for the entire congregation. This proved an easier conduit to place the gifts as well as see what was in the boxes. Steve Odenthal and Rita Dedekerʼs announcements showed their enthusiasm and developed excitement as the number of boxes contributed each Sabbath continued to grow, culminating on November 16, when Pastor Jason Salyers led the congregation in a dedicatory prayer. The youth, under Pastor Vanessa Pujicʼs guidance, checked all the boxes to make sure all were as required and prayed over them before the delivery to the drop off site. If these gifts are as impressive to the recipient as were the prayers made over them they will be a hit! The organizers wish to express a big “thank you” for being a part of this program. And, in case you are curious, the congregation packed and sent almost 40% more this year than last, and hopes to match that increase next year! Stay tuned. Come and learn how to share Christ with others in a fresh new way. This 16-week course will give you the tools and confidence you need to begin studying the Bible with others through friendship evangelism. 10 things never to do in a Bible study and more. Karen Lewis is author of the Lifting up Jesus bible lessons and has developed a relational approach to evangelism. She has presented seminars on lay training for It Is Written as well as other conferences and camp meetings. There will be a one-time $25 charge for all materials. For more info contact Karen Lewis at 303-898-0587. 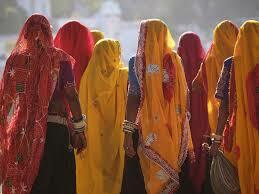 The Minnesota Conference has planned a mission trip to Khammam, India from February 10 through March 5, 2014. Participants will have the opportunity to plant new churches in several un-entered villages. Participants will do this through children’s ministry, gospel preaching, health teaching, and home visitation. The final three days of the trip will feature a stopover in New Delhi, with sightseeing outings and cultural activities planned. While space is limited, there are still openings available for individuals interested in supporting this project. 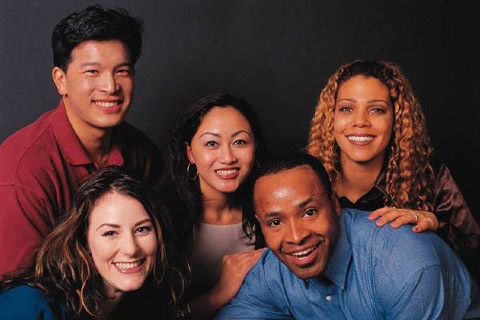 Children under 18 years of age must be accompanied and supervised by parent or legal guardian. The Minnesota Conference has selected Insouciance Abroad as the travel agent for this trip. For more information on how to be a part of this trip please contact Peter Lombard of Insouciance Abroad at 888-626-2927. If you cannot go, but you would like to support this mission project financially, please send a check to the Minnesota Conference of Seventh-day Adventists with “Conference Mission Trips” on the memo line. You may also give on our website mnsda.com; click “Give Online.” We have enough funds to plant two churches; we need just $8,500 more to plant a third church in an un-entered village. The planting project includes providing the pre-work, presenting the meetings, purchasing land, building a church building, and hiring a Bible worker for three years to continue discipling the new members and to work towards more growth.